Contains ALL the latest OFFICIAL revision questions & answers from the Driving Standards Agency (DSA), the people who set the tests. 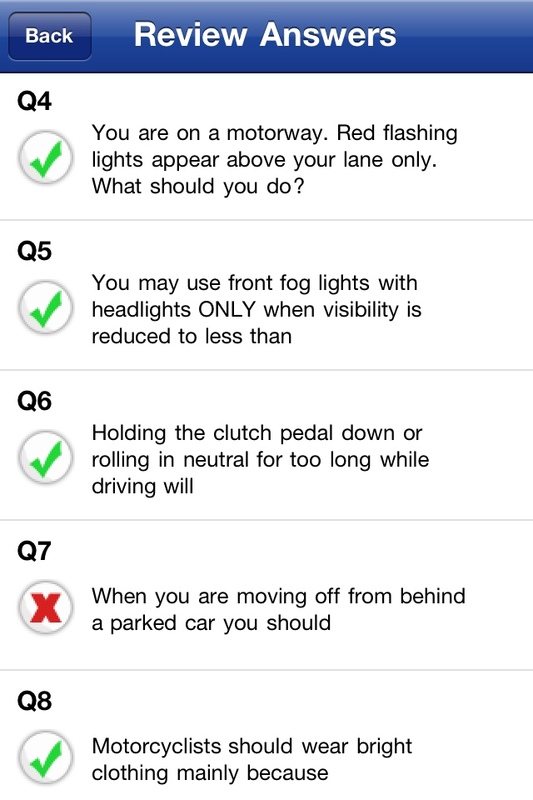 The perfect Theory Test revision tool when you’re on the go. Contains everything you need to pass the multiple choice part of your test. 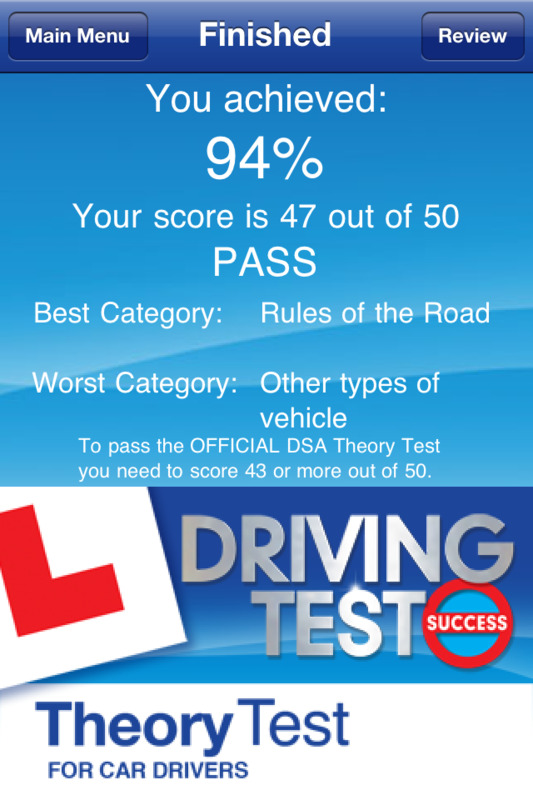 Did you know that 36% of learners fail their Theory Test? 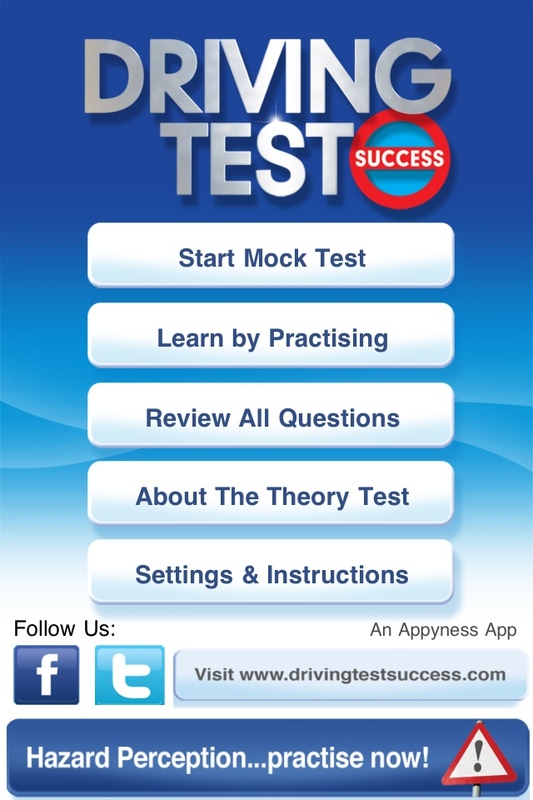 Pass your Theory Test first time with the UK’s best-selling driving test apps, using your iPhone, iPod touch or iPad. 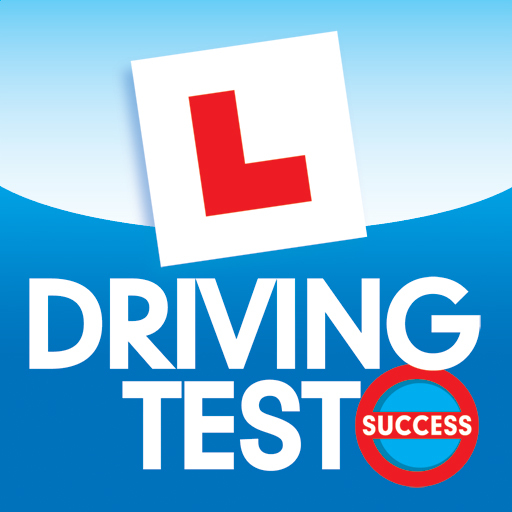 As the UK’s Number 1 Driving Test Software & DVD brand for over 13 years*, we’ve helped 4 million people learn to drive. Now it’s your turn to benefit from our expertise. 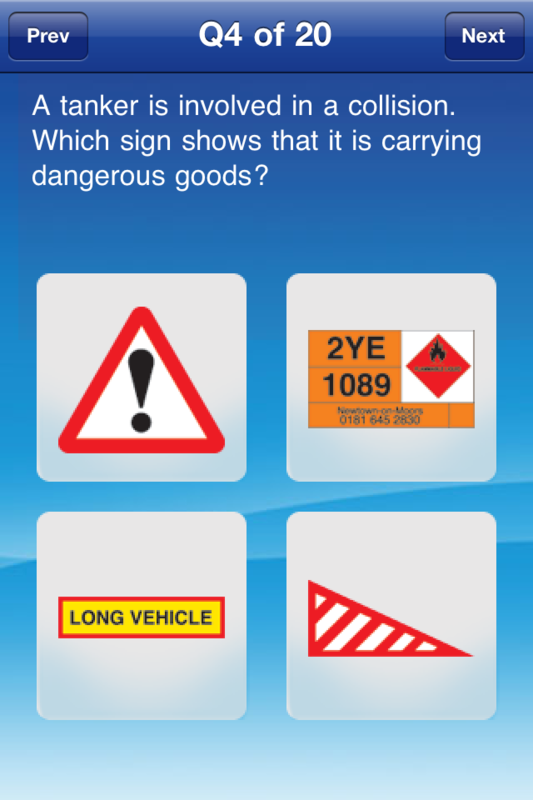 Using this App you will gain all the knowledge you need to pass your test, and learn how to become a safe driver with in-depth knowledge of the Highway Code. 20 REASONS TO DOWNLOAD NOW! 1. Contains EVERY OFFICIAL DSA revision question and answer for the NEW test introduced in January 2012, valid throughout 2012. 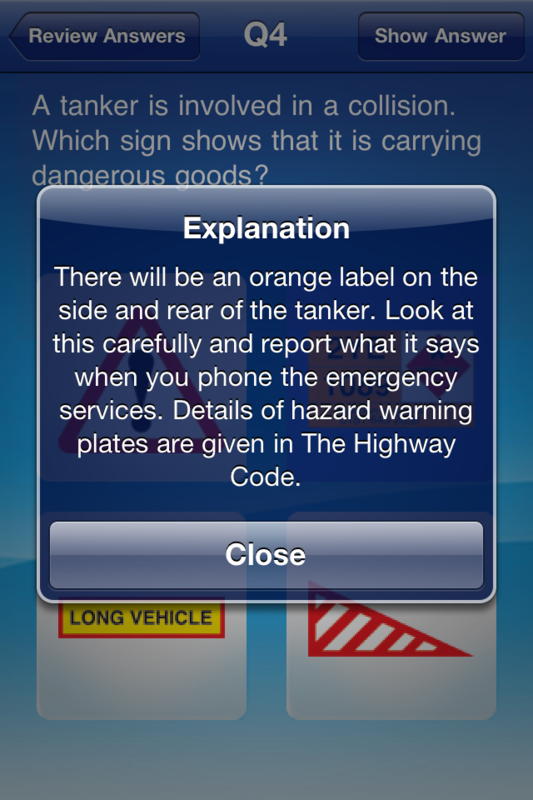 No other app has more official questions! Crown Copyright material reproduced under licence from the Driving Standards Agency which does not accept any responsibility for the accuracy of the reproduction. - Contains the OFFICIAL DSA Revision Question Bank, ready for the changes to the Theory Test from the 23rd January 2012. - Includes the official DSA explanations. - Integrate 'Rate this App'.